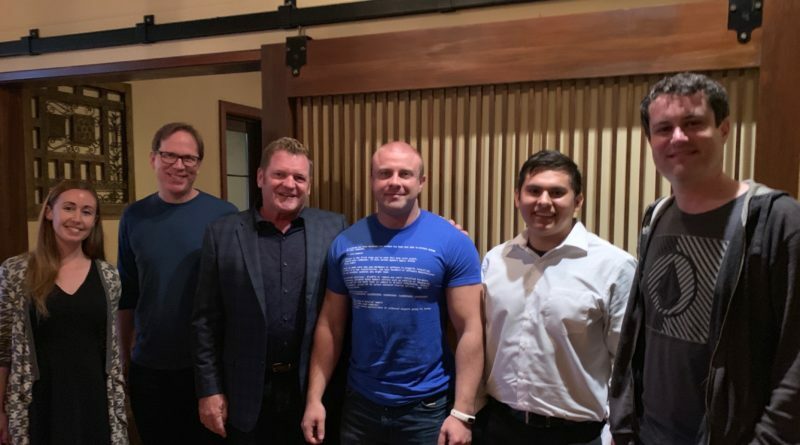 The Alan Turing Memorial Scholarship recipients, Anton Sydorenko and Adrian Mendoza, met Ken Nordholm from Motorola Solutions at a social gathering in La Jolla, California on January 17, 2019, to express their gratitude for the $10,000 donation from the Motorola Solutions Foundation. Motorola’s gift made a positive and powerful impact on their lives. 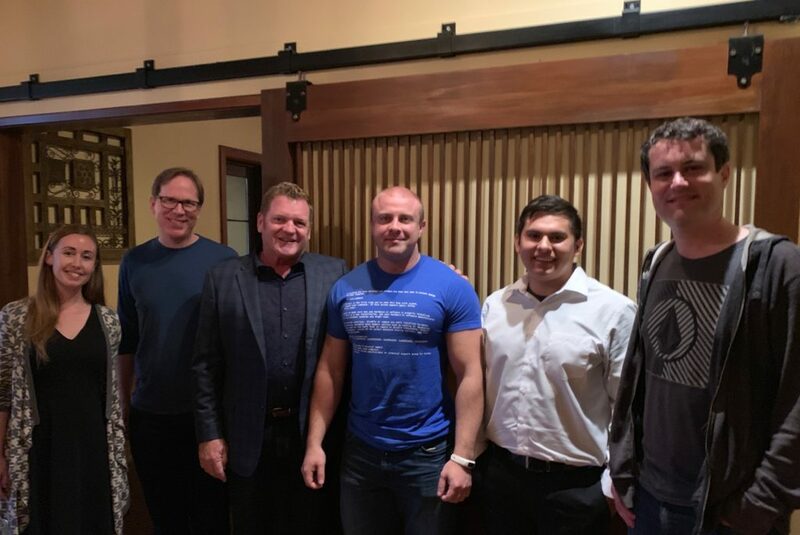 (Pictured L-R, Amanda Estrada, Associate Director at UC San Diego Foundation Relations, Stefan Savage, CNS Co-Director, Ken Nordholm, Senior Account Manager at Motorola Solutions, Anton Sydorenko, scholarship recipient, Adrian Mendoza, scholarship recipient, and George Porter, CNS Co-Director.